Working with educators and companies to empower young girls to discover opportunities in STEM. 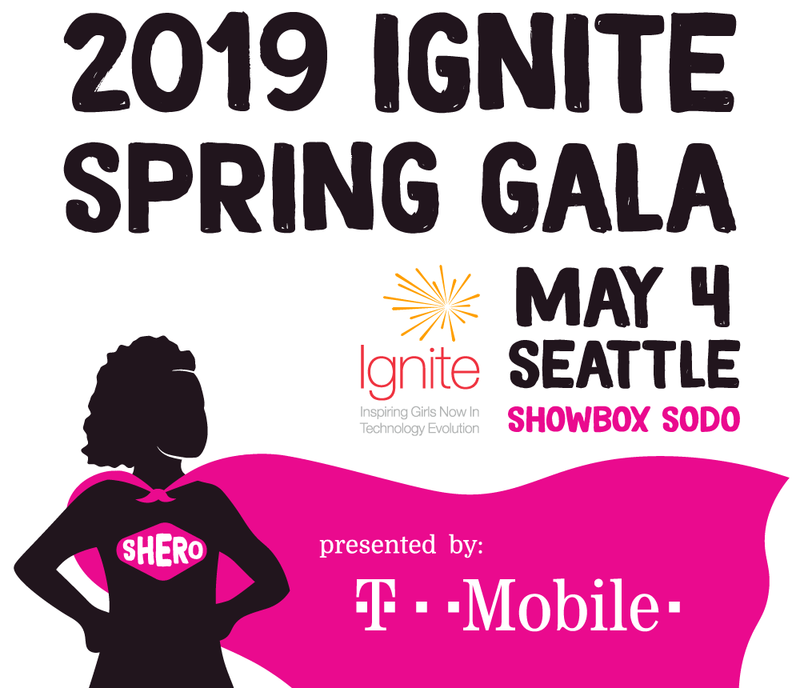 Join us on May 4th for a wonderful night benefiting IGNITE Worldwide and our efforts to inspire girls to become the future technology leaders and innovators of our world! The evening will include a cocktail reception, live and silent auction, and gourmet dinner. This unique event will be attended by over 300 local professionals in STEM and business/community leaders! We IGNITE the spark in young women and non-binary students to discover and appreciate the possibilities that exist for them to pursue careers in computer science and engineering. We partner with educators, companies, and volunteers to offer programming like field trips, Panel presentations, workshops, and more. We work with teachers, counselors and administrators to identify students who are traditionally underrepresented in STEM fields. We invite those students to Panel presentations during the school day to hear from professional women in STEM fields about the opportunities and successes that are possible for them to attain. Students also have the opportunity to go on field trips to companies and universities near them so that they can envision a future pursuing a STEM field. IGNITE also hosts workshops for students to expand their knowledge of computer science and engineering. We link traditionally underrepresented students with opportunities that allow them to continue to develop their interest in STEM subjects and fields. IGNITE aims to expand the diversity of talent in technological fields. We understand that the most powerful innovations in technological solutions will be served by a diversity of experiences and thought. Currently less than 30% of computer science professionals and 20% of college computer science majors are female. We want students to relate positively to the breadth of career possibilities that mix their skills, interests and passion and provide them the ability and opportunity to change the world. We target students who have not self-selected for STEM classes and interests. IGNITE provides opportunities for girls & non-binary students during the school day so that students with after-school barriers can still participate. We also work with teachers and other educators to become IGNITE liasons for STEM opportunities. When IGNITE is at a school, the female enrollment in technology classes rises from under 10 percent to 30 to 80 percent. Launch IGNITE Worldwide at your school to give girls/non-binary students access to STEM field trips, career Panel presentations, workshops, coding clubs, and more! Are you a woman in STEM? Volunteer with IGNITE to share your story to spark girls'/non-binary students' interest in STEM education and careers! Become an IGNITE Field Trip partner and host a group of girls/non-binary students at your location to learn more about your work and STEM careers. Share your love of IGNITE Worldwide! Submit a video testimonial to help IGNITE grow and reach more girls! We invite IGNITE volunteers, students, educators, alum, and supporters to submit a testimonial. Need help getting started? Watch this video by IGNITE Advisory Board member, Chelsea Behrens, to learn 3 tips for making a testimonial video. Your testimonial may be used to promote IGNITE Worldwide on our online platforms and communications.